Tracking number(s) will be provided in your shipment confirmation email. Please note: you will not be permitted to change the delivery address through Canon U.S.A. once your order has been placed. If your shopping cart contains a Lithium Battery accessory; your order will ship via Standard Service. For your protection, signature is required for all orders over $500. As a convenience, you can have your order held at an authorized pick-up location after one delivery attempt has been made. On orders of $499 or below, hold for pick-up is available immediately. To request hold for pick-up, contact Canon Customer Service at 855-817-3277. Please note, when arriving to a pick-up location, you will be required to present a government issued photo ID, such as a driver's license, passport, or military ID. 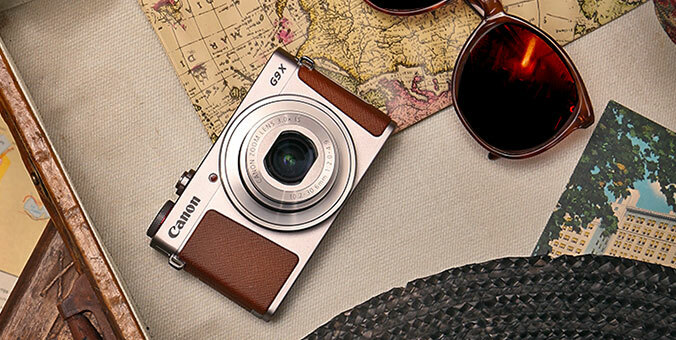 The Canon Online Store only accepts and ships orders to street addresses in the 50 United States and the District of Columbia. We do not ship to APO, FPO or P.O. box addresses, and we do not ship to Guam, Puerto Rico, or the U.S. Virgin Islands. Please avoid using "vanity addresses," as this could result in a delay in delivery. Orders received before 12:30 pm ET are typically shipped on the day we receive your order, subject to the Shipping Delays section below. Selecting the Express or Expedited shipping option does not ensure that your order will arrive in one or two days (please refer to Shipping Delays section below). Please note: that our warehouses do not ship on weekends or holidays. Canon U.S.A. may require that someone signs for your order. For more information please visit the carrier website. Your order may be divided into two or more shipments. You will receive a separate Shipping Confirmation email for each shipment we send you. Shipping charges will not be affected by this. If you have any questions, please contact our Customer Support team toll-free at 1-800-385-2155. For your security, some orders will be processed through our Loss Prevention Department, which may cause a delay. If you do not receive a Shipment Confirmation email within 72 hours after placing your order, please contact our Customer Support team toll-free at 1-800-385-2155.